The park which remains open has come in for some criticism since the incident. THE PARK IN Johannesberg where an American tourist was mauled to death by a lion has defended itself following the incident saying visitors are instructed to keep the windows closed at all times. Despite a fatal lion attack, the business is running as normal. An American woman, named as Katherine Chappell, was killed by a lioness on Monday when the animal attacked her through a car window. Scott Simpson, assistant operations manager at the Lion Park, said the park is “operating as usual” except the area where the attack occurred has been closed off. He said the park was investigating the attack. 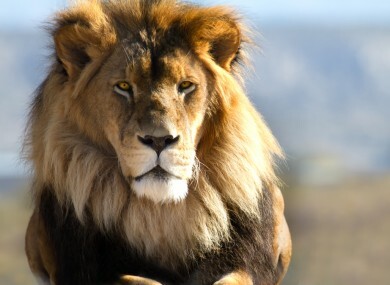 The driver of the car, believed to be a local tour operator, remains in hospital for injuries suffered when he tried to get the lion off his passenger. The attacking lioness will not be euthanised, but will be moved to another property owned by the park away from tourists, said Simpson. Pierre Potgieter, 66, who was badly injured as he tried to save the woman, has criticised the park for their inaction and the delay in the ambulance, he said in a statement. “The tourist had a camera and, of her own accord, rolled down the passenger window in order to take photographs. A lion then attacked (her) through the open window,” said a statement from Potgieter’s company, Kalabash Tours. “The ambulance only arrived some time thereafter. For Mr Potgieter, this felt like a very long time,” it added. Potgieter was taken to hospital with severe arm injuries and also suffered an apparent heart attack during the incident. Email “Lion that killed American tourist to be moved to another park”. Feedback on “Lion that killed American tourist to be moved to another park”.